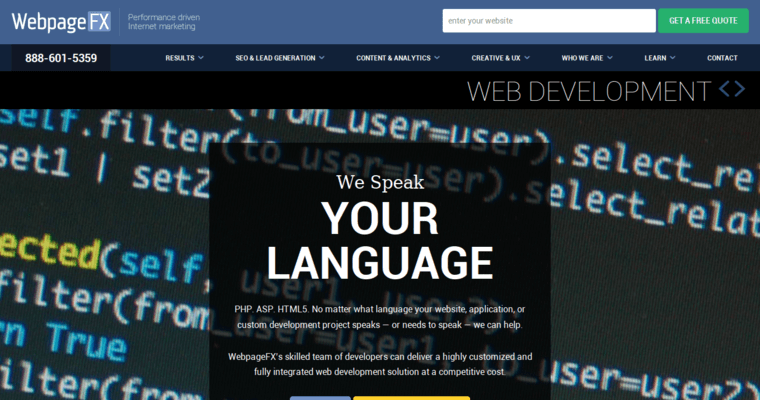 The WebpageFX team of designers and developers are the architects and contractors of the online world. 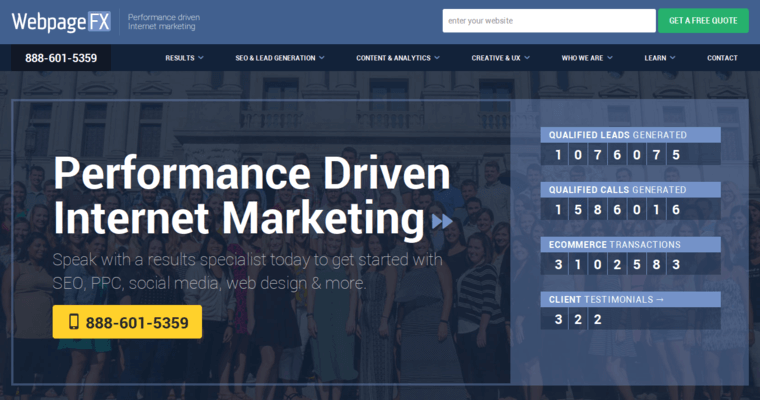 Their work throughout the online communities has left hundreds spellbound, while their client businesses keep coming back for more. This design team has made a booming impression on clients and customers alike, bringing them together in a harmonious meld of communication and consumer-driven passion. 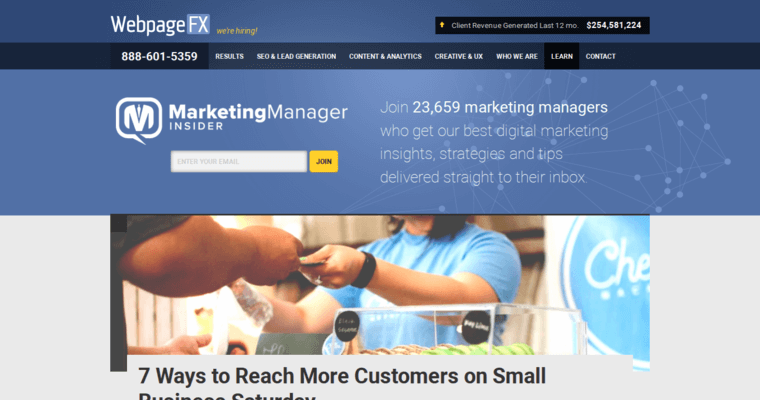 WebpageFX is selective in their creative process, using the best technologies to create a single, idiosyncratic website for their business clients. Specific to their designs, the hardworking group takes on brand-new technologies, like hands-on cross-compatible platforms, on a regular basis.